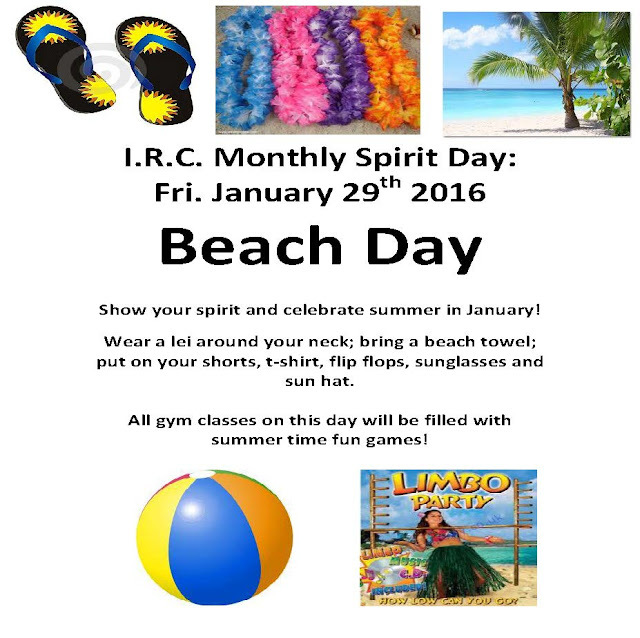 DON'T FORGET - TOMORROW IS BEACH DAY! 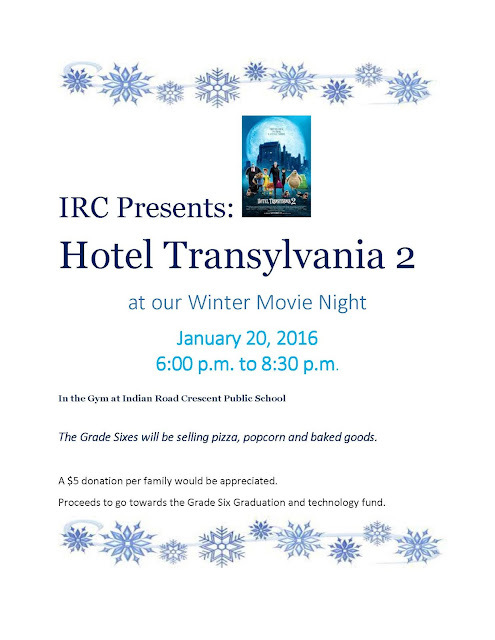 MOVIE NIGHT - TOMORROW AT 6PM! If you would like pizza for movie night tomorrow, please email kmcnabney@rogers.com indicating how many slices and either cheese or pepperoni. There is a lot happening in music at IRC these days………..